Sheffield 15 Function Stainless Steel Multi Tool with Nylon Belt Pouch Only $5.89 Shipped! You are here: Home / Great Deals / Sheffield 15 Function Stainless Steel Multi Tool with Nylon Belt Pouch Only $5.89 Shipped! If you are a DIYer, crafter, camper, fisher or just someone who loses tools easily you need this Multi Tool! When you visit the site you’ll see this listed at $0 but you pay $5.89 shipping. I prefer to think of it as $5.89 with free shipping! 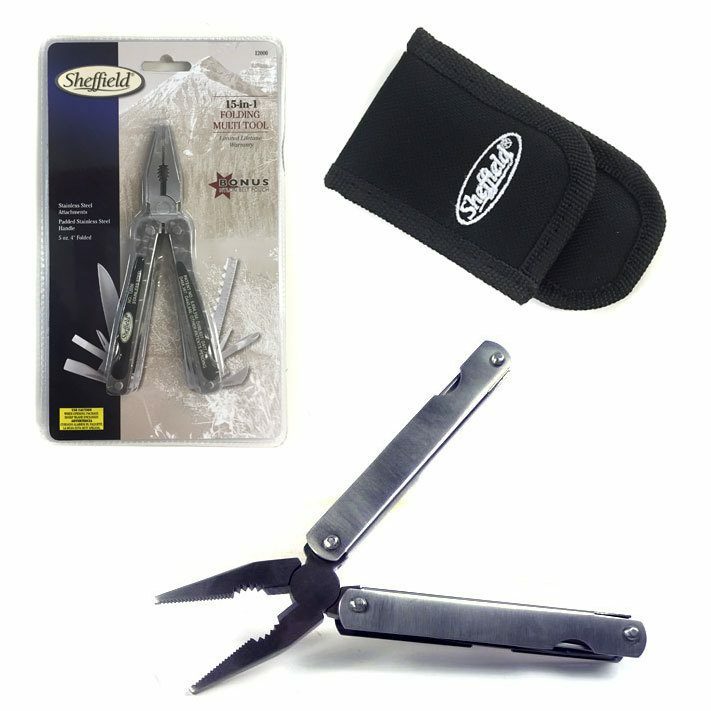 The Sheffield 15 Function Stainless Steel Multi Tool with Nylon Belt Pouch Only $5.89 Shipped is such a useful item that you should get several and keep one in your car, your craft room and your tool box!